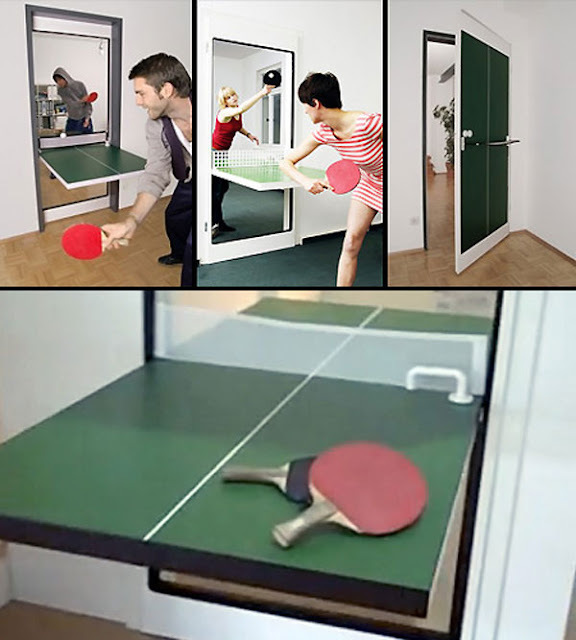 This neat space saving ping-pong door design by Tobias Franzel is a real winner. After the game is finished, it goes back to being a regular door. Check out the video. 0 responses to "Ping Pong Door"